A sneak-peek of the IJN Tech/Tree and how my work is proceeding on that front. Keep in mind that (as you can see): custom Header Bar is missing, custom Flags are missing, real photos of the Premium Ships are missing, new custom Icons too, etc... If you have any concern, question or suggestion please let me know with a comment. I'd like to have as much feedback as possible in order to visually optimize to the best condition this Mod. I apologize to those players, in this community, that were really interested in this Mod. I've been absent for so long. Naturally, as you've already guessed, this piece of work has been stalled since 2018. Probably 'cause I mainly lost interest in WoWs at the beginning. Yet... there are good news if you haven't lost hope on the road. Project is back, alive and kicking. I'm currently in the phase of re-making what was covered but this time in FULLY digitally colorised and authentic photos from WW2. 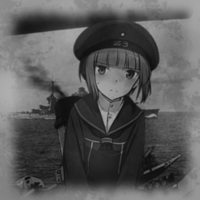 Here some examples of what you can expect: Hosho Isokaze Hatsuharu At the current pace of my work, I expect a early version of the Mod (That includes IJN and USA Tech/Tree) to be available during next week. That's pretty much everything to say, at the moment. I hope you will re-gain interest in this project and look forward for the first release as for the final version too. I'm commited to finish what I've started with this Mod. See you soon! Since I've still all the old assets of my 2015 KanColle mods, I'm going to ask the community 'cause I've also got a request about this: Would you like to see a comeback of my Kantai Collection's modifications? If yes or not, please let me know with a post! It's definitely going to take time but I'd like to know if it's worth the efforts in the first place. The game's flash libraries have been edited and updated to the new 0.7.6.0 build. I've only to change the english translation and then I'll be able to publish and make the Azur Lane GUI Transformer v0.2 downloadable. Look forward to it! Here's a preview of the next Azur Lane GUI Transformer update. The overall look of the icons, buttons and bars have been re-designed. You can expect the download to be available in the next days. If you want to see specific elements of the UI to be implemented first, please let me know about it with a post or comment! In the Wargaming.net community I was internationally known as the ex. founder of Team 20.3cm (Niju-san) and Rising Sun, two groups of top-notch and passionate modders that used to make premium quality modifications inspired by KanColle for WoWs. Because of my ISP I wasn't able to connect to the game without a VPN since January, now the issue seems resolved. So I've decided to come back playing and mod as well (With a focus over Azur Lane. Since the English localization has been announced, becoming more popular). I've a lot of experience now, and trust me when I tell you that I'll deliver some of the highest quality mods you have seen (Like I've used to do). I'll also allign to the WG policies and the other modders too. Back in 2015, there were some guidelines that I'd like the users to still follow today: If you want to share these mods in the forums of different regions, that I didn't cover already, you've to LINK them DIRECTLY to HERE without forget to CREDIT THE AUTHOR in said post. Re-upload, Re-distribution, Re-packing is strictly FORBIDDEN (I never liked "packs" because they never give enough justice to the authors of the mods, even if handy and practical to use). My mods are perfect and very much enjoyable by all those players that are addicted to both Azur Lane and Anime in general or related media. My mods are exclusively composed of aesthetic changes and so they can be considered "Fair Play" friendly. My mods will be frequently updated to be compatible with the newest updates and to present more content. I wont make of this first post an index list of everything that gets released, because it's way too much time consuming to cover all the regions at the same time with stuff like this. But! Don't panic yet! I've a new website where everything is organized in one place and where you can find such a thing. 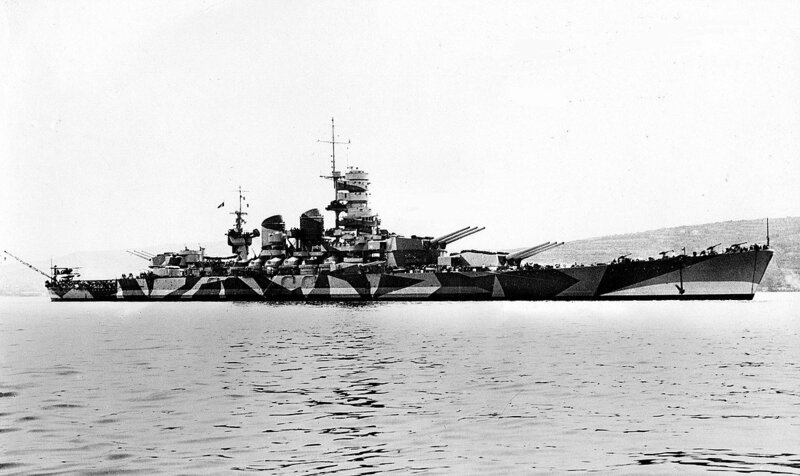 VISIT WOWS.TSUKOTAKU.COM Please, don't forget that feedbacks and comments are always welcome as well as bug reports. Thank you and enjoy! Volevo degli aggiornamenti, quanto chiarimenti, riguardo all'utilizzo di Patreon da parte dei Mod Makers. È ancora consentito avere una pagina di supporto Patreon per quei giocatori che mettono molta dedizione nella creazione di Mod per WoWs? What did the [EU] do this time to deserve a different treatment for WG's 18th birthday? Nice topic, but this should be put in the off-topic section. Arpeggio of blue steel skin mods ? There are plenty on the NA forum. Maybe because they are rapidly improving the game visually with each CBT? The difference in graphic is due the improvements made for the shaders and light maps. Everything else is exactly the same as in the gameplay videos. I'd give them credit just because they used live in-engine footage for the trailer, instead of pre-rendered CG like with WoWs (Which is without a doubt cool. But from a CBT trailer I expect to see the actual graphic I'm going to face).